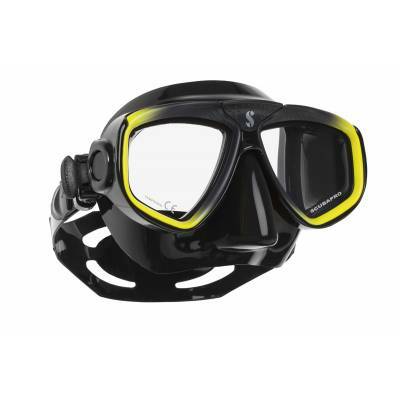 The Zoom EVO is a completely new low volume dual lens mask that is ideal for all divers, but is especially well-suited to divers who use optical lenses. The mask has a brand new lens change system that enables you to switch lenses yourself, without tools, in less than a minute. Featuring spray-painted sub-frames in colours matching Seawing Nova fins, HYDROS PRO BCs and the new UPF Collection of rash guards, steamers and leggings, the Zoom EVO offers a universal fit .